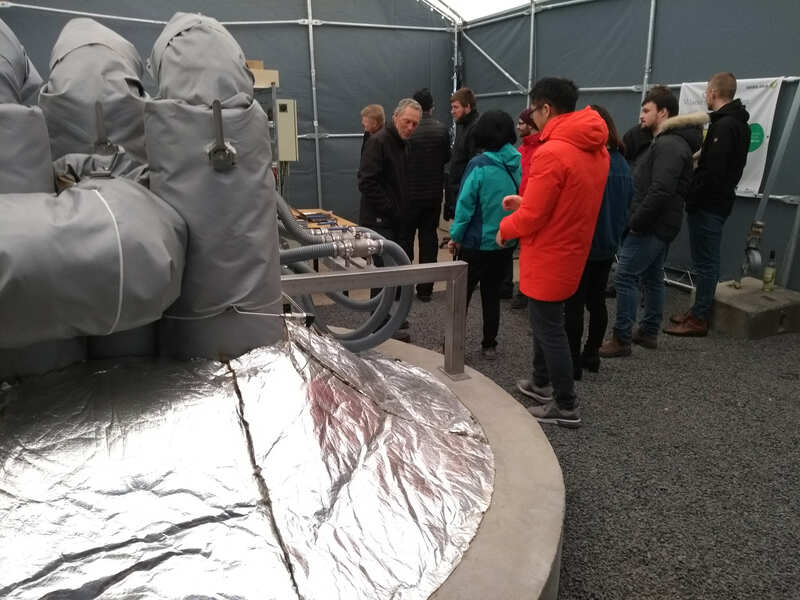 About a low-tech way to store large amounts of surplus renewable energy, and a tour to see an actual prototype in Denmark. In a previous post, I talked about the problem with solar production in California (see the Solar power vs. the duck). One of the solutions to the problem of missing power when the Sun goes down, is to be able to store the energy and extract electric power later. An obvious choice would be batteries. For instance, see the largest battery pack on Earth, already in operation in South Australia, or the newly signed deals to install more battery packs in sunny Arizona. It is less obvious what to do with the batteries as they age. Other alternative (and less costly options) are therefore also being investigated world-wide. The high energy density of stones (certain kinds are better than others), means that you can store a lot of energy in them, by for instance holding them close to an open fire or blowing hot air at them. 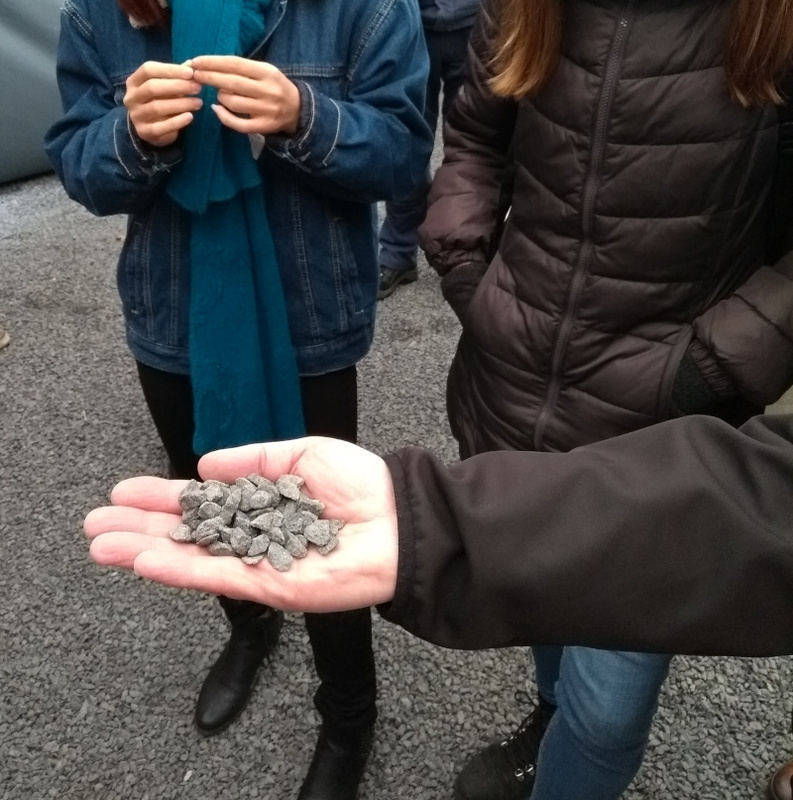 By coupling variable renewable energy (VRE) sources such as wind turbines or solar panels to heaters and fans, a large pile of rocks can be heated when there is excess VRE power production. Take this interactive tour to get a better understanding of the idea! 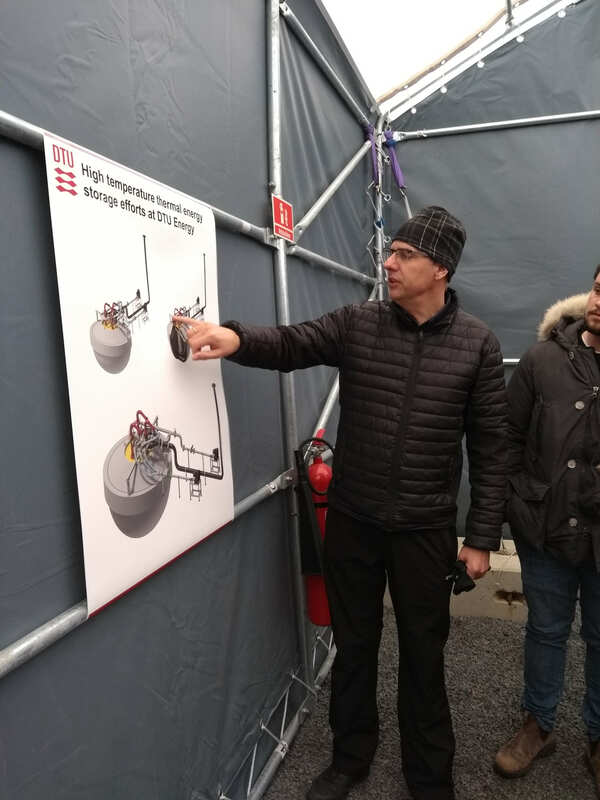 Jens Borchsenius, Research Technician at DTU Energy, within the Department of Energy Conversion and storage, agreed to give us the tour and answer questions about the findings so far and future plans. The current prototype contains “only” about five tons of rocks contained inside a round vault going into the ground, where it is surrounded by insolating material. Once the testing on the prototype is over, a real larger-scale version will be made to demonstrate the idea. It was a very interesting hour spent away from the desk, which opened my eyes to low-cost and simple, yet innovative and promising ways of storing excess power. Read more about the project here. In California, a large fraction of electricity consumption goes into airconditioning during the summer. In Denmark there’s a similar demand for heating during the winter. Contrary to other Nordic countries however, Denmark relies on district heating instead of electric heating for over half of the residential houses in the country. 64% of all households are heated with radiators that contain hot water heated at a local district heating facility, which typically produces electricity as a bi-product . With this rock storage, air heated by passing it through the hot rocks, can be used create steam which can run a conventional steam turbine and create electricity OR the hot air can be used to directly heat water for district heating.